According to Timothy T. Houle, Ph.D and co-author Dana P. Turner, M.S.P.H., both of the Wake Forest Baptist anesthesiology department, migraine sufferers make inaccurate conclusions about what triggers their migraines. Houle and Turner conducted a 3-month study of 9 women who suffered from migraines. They tracked the women’s hormone levels, their stress levels and the weather. The women kept daily diaries. At the end of the study, the scientists could not accurately predict which triggers would cause a migraine. Their conclusion—most people can’t isolate the many complex variables in everyday life to accurately determine their migraine triggers. So what can you do? Can you start eating anything you want? Do you give up managing your migraines? Migraine triggers are factors that increase the chance that you will get a migraine. They don’t cause a migraine. Instead, they play a role in activating the process that leads to a migraine. Not every trigger causes a migraine for every person and even if a person is sensitive to a particular trigger, they may not get a migraine every time they are exposed to it. The list of triggers is broad. 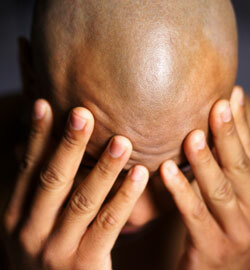 Hormone fluctuations can trigger a migraine. Sometimes birth control pills increase migraines (while sometimes pregnancy prevents them). Stress can be a factor. And while genetics can’t “trigger” a migraine, it plays a role in how likely you are to suffer from migraines in general. The most common type of trigger is food. Typical food triggers include aged cheeses, sour cream, processed meats, yeast breads, peanuts, broad beans, peas, lentils, caffeine, alcohol, chocolate, wine (especially red wine), vinegar, fermented foods like soy sauce or miso, some fish, avocados, bananas, citrus fruits, figs, raisins, red plums and raspberries. In addition, some people are sensitive to nitrates, nitrites, yellow food coloring and monosodium glutamate (MSG). Other triggers are non-food. Some people notice that fatigue, lack of sleep, sleeping too much, missing meals, changes in barometric pressure, changes in altitude or bright flashing lights can trigger a migraine. Strong smells such as paint, gasoline or heavy perfumes can also cause a migraine. Are Migraine Triggers a Myth? While researchers may disagree about the accuracy of pinpointing migraine triggers, it’s important to remember that you know your body better than a scientist. Even if you haven’t conducted double-blind, single variable experiments, you have lived with migraines for years and you know how your body works. If you find a correlation between a trigger and your migraines, that trigger exists. Part of the difficulty of identifying triggers is that some triggers may only exist under certain circumstances. For example, you may be able to eat cheese and bread under normal circumstances but once you are stressed, you may notice that they can cause a migraine. You may be more sensitive when you have multiple triggers at once. I always support your own knowledge of your body. You know your triggers and I respect your intuition. Acupuncture is a very effective treatment to balance your constitution and reduce your sensitivity to your triggers. Give me a call and we can schedule an appointment today. This article was posted in Acupuncture, Nutrition, Wellness, What We Treat and tagged acupuncture, migraines, Oregon, salem. Bookmark the permalink. Follow comments with the RSS feed for this post. Both comments and trackbacks are closed.